Each morning, as I did my Bible study, I looked at the note I was using as a bookmark in my Bible. Each morning, I prayed. I had felt led to ask for the Lord to heal. I was asking. I was not hearing an answer. I had no expectation of what the healing would be. I was not praying to wake up in the morning with clear vision. I was not really sure what the Lord wanted me to pray for, but I continued. It got harder to see at night. I shared rides whenever possible. I bought a pair of yellow-lens glasses to help with glare. And I kept praying. I had done everything that I could. I just needed to wait. It was not easy. I was not always faithful in the waiting. I was impatient to see better, and scared that I would not. But God was faithful. He had a plan. He was watching. He used men with medical knowledge He had given them to do a procedure that took less than 20 minutes to restore something invaluable to me. And He used my literal dark place to work on healing some inner parts besides my eyes…barriers of pride and self-reliance that I did not even know were keeping me from giving pieces of myself to Him. In His time, and in His way, He healed me. It would be easy to discount the miracle in my physical healing. Many in the world would. But the Bible says that He knows even the hairs on my head (read Matthew, Chapter 10). I made the choice to take Him at His word a long time ago. I could also ignore the healing He has brought about in my heart. Again, I make the choice to take Him at His word. He brought me here. He has got this. And by His grace He allowed me to be part of all that has happened by prayer. Father, thank You for healing me! Thank You for allowing me to wait on the journey of healing and to see You working. May I always wait on You. Amen. I started to cry. Right there in the doctor’s office. I had given up driving at night about a month before, the cataracts making it unsafe. I had cut back on daytime driving to necessities. But…I still had my family to run. As a single mom with four active boys, I have a lot to do, a lot to take them to. I just could not fathom depending on them until March! Heather, the scheduling person, was sympathetic. She patted my knee and said they sometimes had cancellations and might be able to push it up a bit. She said she would talk to the doctor and see what he thought. She left the room, leaving the door ajar. I started to pray in earnest. 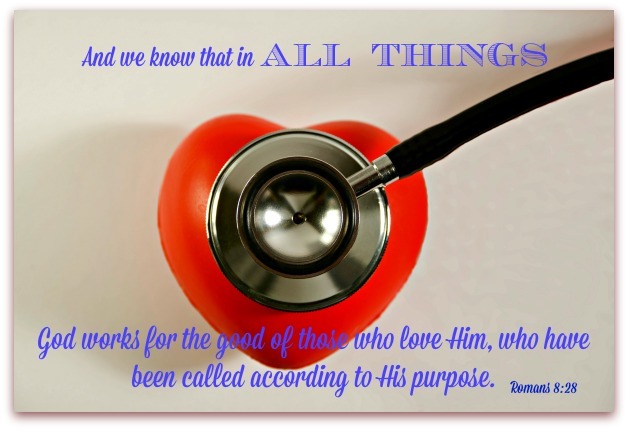 Now, I had already been praying for all of this…and very specifically, too. In my type A brain, I had already determined that the 18th of December was the best day for me to have the surgery. That way, we could get done what we needed to and I could heal and be ready to drive on Christmas Eve. I knew that God was in charge, and that He would bring things to pass in His time and for His good purpose…but that seemed to me to be what I should pray for. I enlisted the help of friends to pray as well. I continued to pray for God to make a way for this to work. March? March?! Is that my appointment, Father? One eye scheduled. OK, Lord, I can do this…I think. If I have that one cataract gone, will I be able to drive at night? Will this work, even if the other eye does not end up being done until March? He finished his exam and sent me once again to Heather for the paperwork and pre-op instructions. Heather said, “I have good news.” I answered that Dr. J had told me of the cancellation on the 18th. 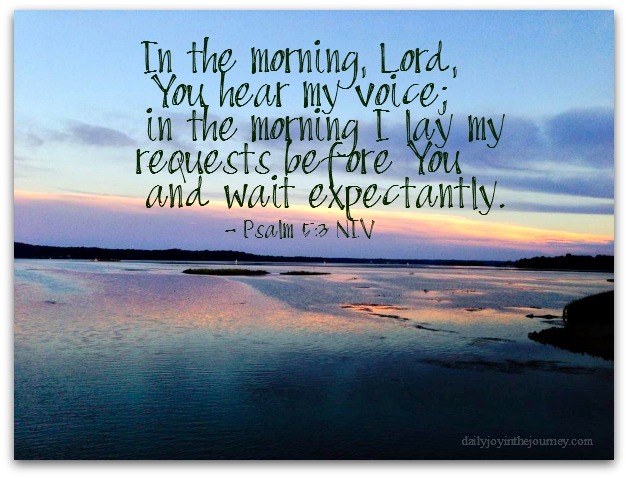 Quiet sobs…and open praise to our God. How great He is! This was beautiful on two levels, folks. I was, of course, blessed beyond measure that God was choosing to work this out to heal my eyes. The specific nature of His answer to my prayers still leaves me teary and trembling at the level of care and attention He has for His wayward daughter. Second, however, was the joy of being a witness to the office staff, and to Dr. J himself. I don’t know how many of them were believers. I may never know. But, maybe, through me, they have seen something of the working of God that will make them think, challenge whatever constructs they may currently hold about the power of prayer and the involvement of God in the everyday lives of His people. I pray it is so! It had been happening slowly…over at least a couple years. Deteriorating vision. At first, I wrote it off to aging…but over time, I could tell it was more. I had been here before, and was not eager to return. Fifteen years ago, I had detached retinas, first in one eye, then in the other…a one-in-a-million medical problem. It was a scary time, thinking I might not be able to continue to see my baby. I prayed, underwent surgeries, and I was healed. Praise be to God! 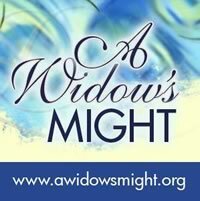 As I realized my vision was deteriorating again, I started praying that God would again heal me. This week, He used medicine again to heal. I had cataract surgery in both eyes. Not only are those wretched halos and “fog” gone, but also lenses implanted are allowing me to see without corrective lenses for the first time in 44 years. 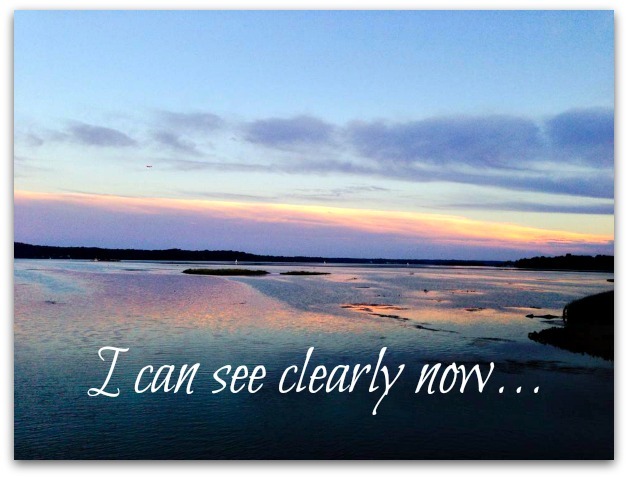 I cannot begin to express the joy at being able to see clearly! Praise Him again! Through this ordeal, God has used my deteriorating vision to teach me things about vision in general…and trust…and faith. I wish I weren’t so pig-headed that I have to learn my lessons the hard way, but at least He is willing to continue to work with this weak vessel (with weak eyes). I am going to share them here. Maybe then you, dear reader, can learn without the stress I have had to face. And, if you are pig-headed too, you can gain some peace seeing a fellow stubborn child of God go through things. Clear vision is worth it, no matter the price!